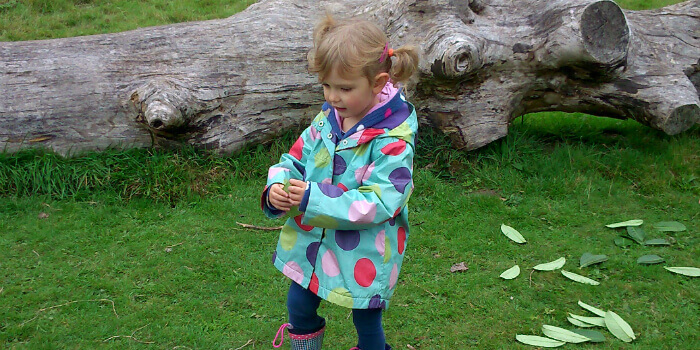 Natalie is our Wild Child Officer, hosted by Staffordshire Wildlife Trust, her role is to engage and reconnect children and families with the natural environment that surrounds them through outdoor play and learning. She will be working with a team of volunteers and sessional workers to deliver Wildlings (for 1-5 year olds), Wildplay (for 6-13 year olds) and Wildfamilies sessions in the South West Peak. Natalie has always worked with children and her most recent background is in outdoor education. She has worked for the past 5 years at outdoor education centres in Staffordshire instructing activities such as climbing, biking, Bushcraft and pond dipping. Natalie has a BETEC in Countryside Management, a BSc degree in Physical Geography and is currently studying for an MSc in Forestry; and as well as holding may practical qualifications such as the Walking Group Leader Award, FA Level 1 Leader and Local Mine Leader Level 1. Natalie’s past experience in the academic and working world means that she has both knowledge of the natural environment and an appreciation of enjoying it through outdoor play, and hopes to bring this together in her new role in the beautiful South West Peak. Encouraging a life-long love of the outdoors in children through outdoor play activities.